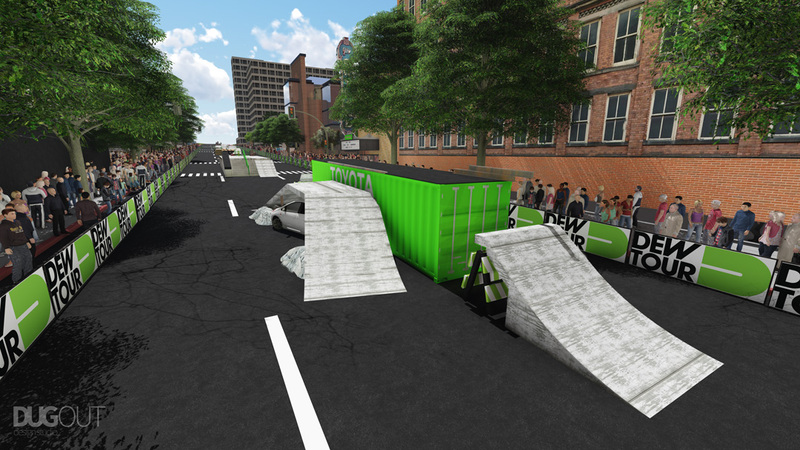 Downhill skateboard and bmx professional event. 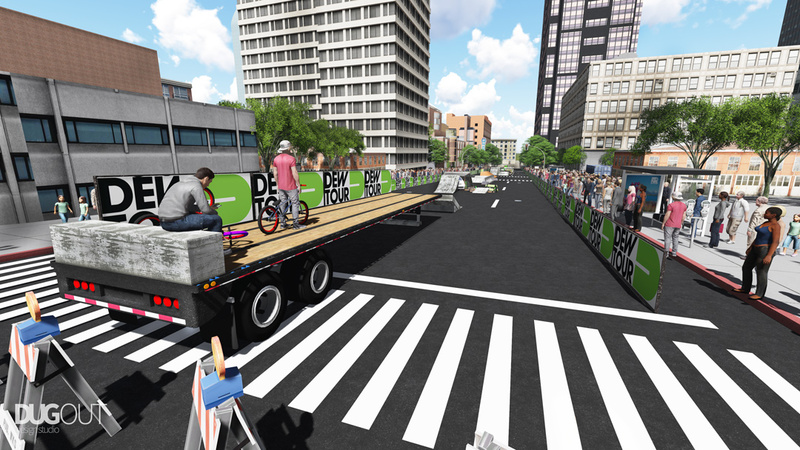 This event was created by NBC Sports, Alli Sports and Mountain Dew and aired on NBC. 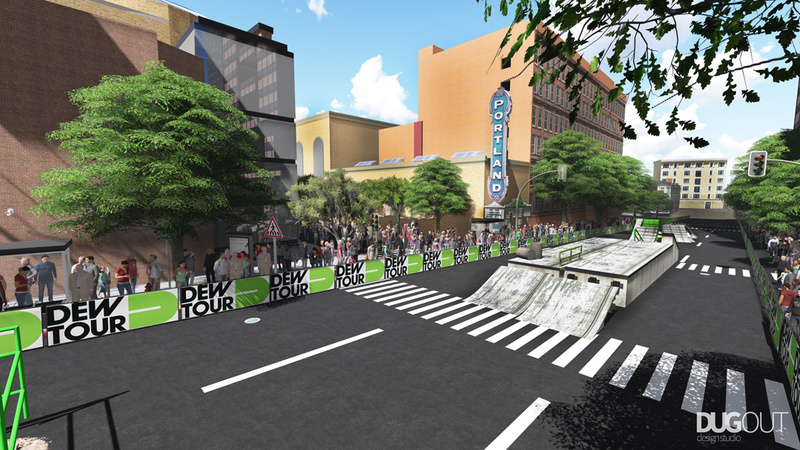 It took place in downtown Portland, Oregon, on Broadway Street between Jefferson and Salmon Street. – Managing speed control and feature spacing to optimize the set-up for each zone. 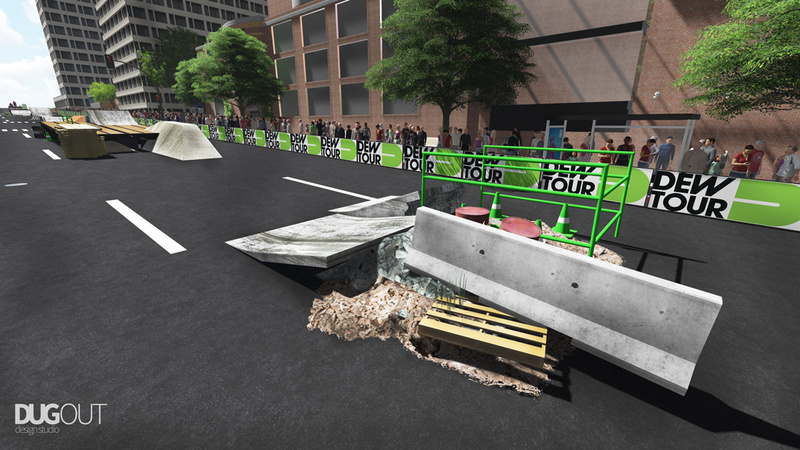 We were able to design a full three-block downhill street course that worked extremely well to showcase the skateboard and bmx pros for the nationally televised event. 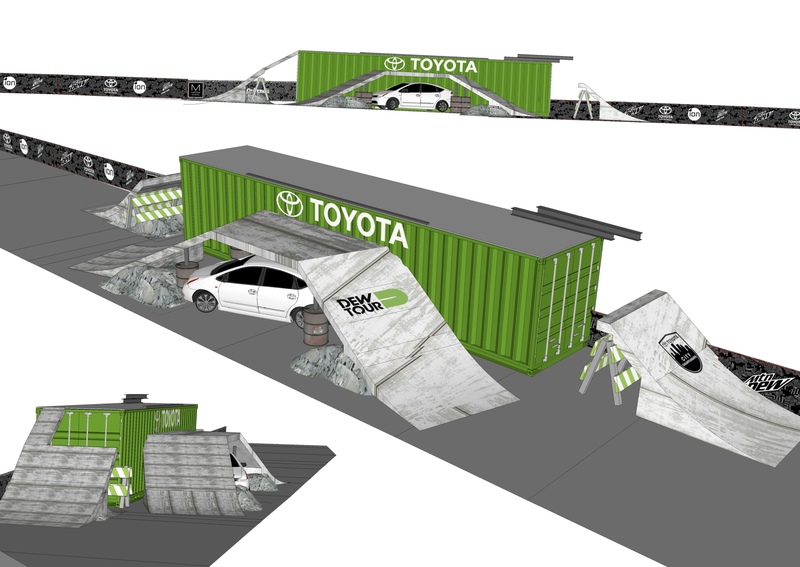 Shipping containers, flat-bed trucks and graffiti- covered cars were incorporated into the overall design of the course. 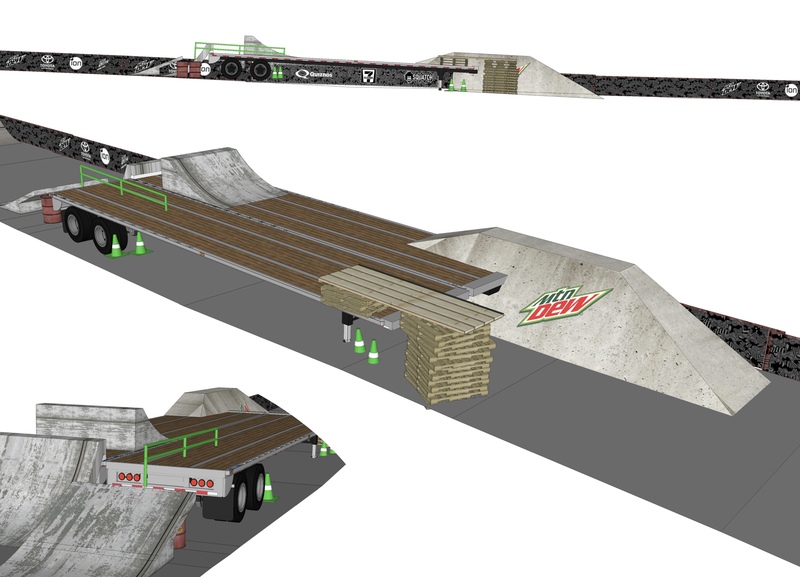 The design also contained multiple gaps, launch ramps, rails, stairs and other unique features linking them all together. 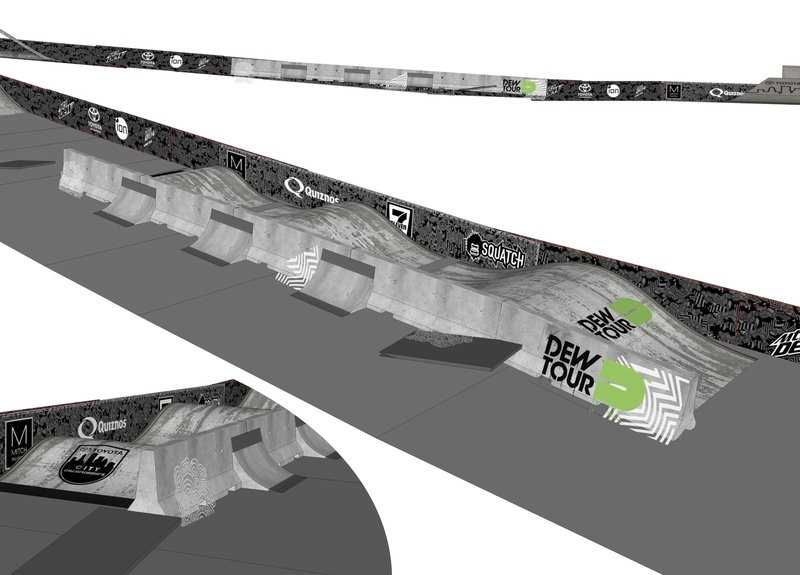 We worked directly with the Dew Tour group to incorporate the look and feel they were going for.